Several months ago a friend of mine, who puts on seminars, publicly pointed out the errors of several well known teachers who promote mystical practices. Shortly thereafter he invited me to attend a meeting with some leaders of his church to clarify his relationship with the church and determine whether his ministry was welcome there. This discussion made some important issues clear for me. The leadership told him that his teaching did not comply with their practices. They do not practice correcting false teachers. In the course of the conversation, the leaders cited the basic mission of that church. It was a good mission and had to do with bringing people to Christ; but it did not include correcting error or false teachers. Thus my friend’s seminar is not compatible with their purposes. As a result of the meeting I found myself pondering that situation in light of the many emails I have received from people around the country. These people often are unwelcome in churches in which they had been members for many years. What seems so strange is that the unwelcome members were not accused of sin or heresy; they were accused of not supporting the church’s mission or program. In some cases the mission and program had recently been changed and the long standing members had resisted the change. Ultimately most of these people left willingly, but with sadness of heart. Some who decided to stay and fight were eventually removed from fellowship. What has happened that evangelical churches are willing to lose solid Christian members who have not fallen into sin or heresy? In this article I will propose that evangelical churches have changed the way they view themselves and their organizations; and that this change has lead to practices and emphases that build large visible churches, but neglect and abuse Christ’s “little flock” (Luke 12:32) — the true body of Christ. Husbands, love your wives, just as Christ also loved the church and gave Himself up for her; that He might sanctify her, having cleansed her by the washing of water with the word, that He might present to Himself the church in all her glory, having no spot or wrinkle or any such thing; but that she should be holy and blameless. (Ephesians 5:25-27). This “church” cannot be seen now, nor can this one: “to the general assembly and church of the first-born who are enrolled in heaven” (Hebrews 12:23a). The church is a spiritual building: “you also, as living stones, are being built up as a spiritual house for a holy priesthood, to offer up spiritual sacrifices acceptable to God through Jesus Christ” (1Peter 2:5). As such it is invisible. We cannot be certain who make up the invisible church but the Lord knows: “Nevertheless, the firm foundation of God stands, having this seal, ‘The Lord knows those who are His,’ and, ‘Let everyone who names the name of the Lord abstain from wickedness’” (2Timothy 2:19). This passage shows the idea of the visible and invisible church. Those who make up the visible church (who name the name of the Lord) are instructed to abstain from wickedness. Not everyone who “names the name of the Lord” is truly regenerate. Some will say, “Lord, Lord” and He will answer, “I never knew you” (see Matthew 7:22, 23). We cannot have absolute knowledge of who truly knows the Lord, but God does. No matter how strict a local church’s membership requirements may be, there is no certainty that someone who has all the external evidences of being a Christian may join who may not truly know the Lord. Thus the invisible church is hidden in the visible one. John says this: “They went out from us, but they were not really of us; for if they had been of us, they would have remained with us; but they went out, in order that it might be shown that they all are not of us” (1John 2:19). Before they went out, they were part of the church and it was not clear then that they were not truly Christian. God puts people into His invisible church, man does not. Paul said the following to the Ephesian elders: “Be on guard for yourselves and for all the flock, among which the Holy Spirit has made you overseers, to shepherd the church of God which He purchased with His own blood” (Acts 20:28). Those who are redeemed are redeemed by the blood of Christ and they have had their sins washed away. This atonement is announced through the gospel. God uses gospel preaching to save people and add them to the church. A few verses earlier, Paul said this about his preaching that had resulted in the formation of a church in Ephesus: “how I did not shrink from declaring to you anything that was profitable, and teaching you publicly and from house to house, solemnly testifying to both Jews and Greeks of repentance toward God and faith in our Lord Jesus Christ” (Acts 20:20, 21). Paul was using the keys of the kingdom that Jesus gave to Peter and the other disciples according to Matthew 16:18, 19. He preached the gospel that included the person and work of Christ, and the need for repentance and faith. Paul did not stop with preaching the gospel in Ephesus and seeing God add people to the church. He told the Ephesian elders: “And now, behold, I know that all of you, among whom I went about preaching the kingdom, will see my face no more. Therefore I testify to you this day, that I am innocent of the blood of all men. For I did not shrink from declaring to you the whole purpose of God” (Acts 20:25-27). Having preached the gospel and taught the whole counsel of God, Paul had discharged his duty. He was turning the church over to the guidance of these elders. It was their duty to nurture and preserve this flock through being “on guard” and caring for them as pastors (the word “shepherd” in verse 28 is the verb form of the noun translated “pastor”). Paul explained why their solemn duty was so important: “I know that after my departure savage wolves will come in among you, not sparing the flock; and from among your own selves men will arise, speaking perverse things, to draw away the disciples after them” (Acts 20:29, 30). False teachers were sure to arise and those who have the duty of shepherding the flock must protect the blood bought church from them. Christ builds His church through gospel preaching that God uses to graciously grant repentance and faith in those He has chosen (see Acts 11:18; Philippians 1:29; 2Timothy 2:25). The invisible church grows through conversions: “And the Lord was adding to their number day by day those who were being saved” (Acts 2:47b). Paul wrote this: “For since in the wisdom of God the world through its wisdom did not come to know God, God was well-pleased through the foolishness of the message preached to save those who believe” (1Corinthians 1:21). Every time a person is regenerated by the grace and power of God, the invisible church grows. Therefore, those who are concerned with the growth of the invisible church, which is the one that ultimately will be assembled for the marriage supper of the Lamb, will preach the gospel clearly and boldly. They will declare the terms of entrance into the kingdom of God. This includes the message of the cross: “but we preach Christ crucified, to Jews a stumbling block, and to Gentiles foolishness, but to those who are the called, both Jews and Greeks, Christ the power of God and the wisdom of God” (1Corinthians 1:23, 24). The message is universally unpopular to the unregenerate mind, but Christ uses it to build His church. We cannot know who “the called” are. We must faithfully preach the gospel knowing that the called, whoever they are, will respond to it. They respond because of God’s supernatural grace, not because of human wisdom. The saving of souls through the gospel leads to the formation of visible congregations where God’s means of grace4 are provided. Understanding the nature of the relationship between the visible congregations and the invisible church will help us understand what practices and policies are necessary for a church to be Biblical and honoring to God. Since humans cannot infallibly know who the elect are, churches must receive those who profess Christ, confess belief in true Biblical doctrines, and are willing to live lives in accordance with the teachings of the Bible. This is good and proper. However, we cannot be sure that every member of the external organization is also a member of the invisible church, the true body of Christ. Anyone can see who belongs to the visible church. Membership numbers can be tracked. Attendance at worship services can be monitored. It should be noted, however, that a visible “church” must corporately confess the essential truths of the gospel to be a church and not merely a religious institution. This is necessary because at this point in history there are Mormon “churches,” New Age “churches,” Universalist “churches,” and other such groups that deny the Biblical doctrine of Christ. Such groups should not be considered visible churches nor should it be expected that the invisible church is within them. This leads us to some issues that will help explain some of the current confusion. Visible churches that at least superficially confess the key doctrines of the Bible are massively diverse. Every major Christian denomination confesses these doctrines in their official documents. Even when the modernist movement swept through most of the main line Protestant church during the late 19th century and early 20th century, not one of those denominations officially denied their historical creeds. I grew up in a liberal denomination and was required to confess the truth about the person and work of Christ in order to join the church at age 12. Later I found out that many pastors in that denomination did not believe in the resurrection of Christ, though every one of them had to swear he or she did to be ordained. This means that visible churches exist that in some regard have the light of the gospel, if not in their pulpits, in their hymnals and creedal confessions. Inasmuch as some light is there, these churches likely contain a few of the invisible church. However, inasmuch as the Word is not purely taught and the gospel not clearly preached, people are much less likely to be converted. They have to find the gospel hidden within an organization that no longer has it on its agenda. Though Luther lambasted the Roman Catholic Church with amazing vitriol and stinging rebuke, he confessed that there was still enough light of truth within her that some were saved in spite of her unbiblical innovations. Likewise today, with the huge variations of visible congregations and denominations, we must confess that if some light of the gospel is present, howbeit dim and hidden, there will be some who believe and are graciously added by God to the invisible church. This, however, never justifies false teaching, unbiblical innovations, and the failure to preach the gospel. For example, those congregations who adopted modernism in the early 20th century and denied the authority of Scripture still contained some of the invisible church who had true faith in the Gospel. Those persons were sorely grieved and many eventually left to join newly formed, congregations and denominations where the evangelical faith was publicly taught and confessed. Yes one can be saved in a visible church that is mostly gone astray; but it does not follow that such a person should stay and support false teaching. Charlemagne’s policy of forced conversions (he also forced tithing to the church through civil law10) became a new way to enlarge the visible church. The practice continued for many centuries; but as grim as this sounds, the result was positive. The Saxons actually became civilized and eventually became accustomed to Christian culture. Thus Christianity became established in a previously pagan land. Although no one today is likely to endorse such a policy, it would be possible to rationalize it historically. For example, prior to their “conversion,” the Saxons were savage marauders committed to pagan gods. They killed the missionaries sent to them. After Charlemagne’s conquest, the Saxons were forced to follow the teachings of Christianity. The Capitulary for Saxony, required, under the penalty of death, respect for the church and its buildings, tithing, the keeping of Lent, the keeping of the Lord’s Day, baptism, and other Christian duties.11 Eventually this led to a better situation than they had under pagan war lords, because they were in the visible church. In their new situation there was, however dim, the light of the gospel and some were likely truly converted. Thus, for centuries to come, Saxons had a more civilized existence with better rule of law and as much Christian light as the medieval Roman church had to offer. It could be argued that souls were added to the Kingdom because of Charlemagne’s campaign. Yet what Charlemagne did was repulsive and wicked. Why do I share this bit of history? I do so to underscore the problem of a certain type of thinking. The idea is that “we” are the Christians and this is the church. Those outside of “us” are pagans and in pagan darkness (nowadays we call them “unchurched”). Since what we have is a good thing, the more of “them” that we can get into the visible church with “us” the better; Christianity is being spread. Once people join the visible church (however dim the light of the gospel might be in a given visible church), some will likely be converted. The rest will live better “Christian” lives, influenced by Christian ethics and teachings. Their children will be raised in the church rather than in the pagan world. As “Christendom” grows everyone is better off. The success that Schuller and his followers have found is the ability to get people to join the visible church without being confronted with “negative” things like the wrath of God against sin and the need for the blood atonement. The key idea in the church growth movement founded by Robert Schuller is to maximize the visible church by using proven business marketing strategies. Forcing people into the church at sword point has been abandoned long ago. Charlemagne’s strategy is no longer viable. Now leaders entice people into the visible church using the business model that works so well for secular corporations. These strategies include organizational models that provide focus, efficiency, outcome based feedback, and “synergy of energy.” Most important, however, is maximizing the organization’s ability to find and keep satisfied customers (people willing to join the visible church). Before I explain how this works, I want to reiterate the rationale behind it. As with the Saxons in Charlemagne’s day, there are “unchurched” people who lack exposure to Christianity (other than what the popular culture or media might provide). These people would be better off in church, (especially an evangelical church) than outside of the church; that is axiomatic. But, these people are willing to join the church unless they see a need to join. It is the job of the religious corporation (church) to convince such religious consumers that they have a need and that the corporation in question can best fulfill it. This is what marketing is about; its goal is satisfied customers. The Crystal Cathedral is filled with satisfied customers and has been for decades. Let us take that particular church as an example and think about our categories of the visible and invisible church. Luther said that there was some invisible church even in Roman Catholicism. Very likely some became part of the invisible church after Charlemagne forced them into the visible one. God is merciful and if some light of the truth of Christ and His work is there, some will believe in spite of the fact that the light is diffused through a translucent window. I would argue that some people have likely met Christ at the Crystal Cathedral since Schuller occasionally invites an evangelical as a guest speaker or allows a testimony from someone who does know the Lord. Also, the hymns they sing may have enough of the gospel for someone to believe. Taking this analysis further, let us consider Schuller’s followers like Bill Hybels and Rick Warren. Both of them are more evangelical than Schuller. Their terminology often includes parts of the gospel. This being the case, by God’s grace and mercy, there are likely some conversions through their approach. So, in their churches, there likely exists an invisible church. Perhaps there are many true Christians within. This, however, does not justify the theory that one ought to use whatever means work best to grow the visible church simply because people are better off “churched” and some may actually be saved. That rationale assumes that Christ has not told us what the church is to be and do. It assumes that we have the liberty to adopt any plan that gets people to come to the visible church and stay there. I deny that we have that liberty. It opens the door to unacceptable options. Those churches that have adopted Schuller’s strategy (and others like it) are committed to using the latest proven systems to gather the largest possible group. The system that works the best is one that is focused, efficient, and seeks measurable results (out-come based). Rick Warren uses these principles in his book, The Purpose Driven Church.13 In this approach a mission statement is absolutely essential. Everything the church does has to be justified vis-à-vis the mission statement. This is how corporations have learned to keep every aspect of their operation focused and working with “synergy of energy.”14 This model of operation has proven itself to be far superior to previous ones. The defining mission statement, according to Rick Warren must be stated in terms of results.15 The mission statement (Warren uses the term “purpose”) is necessary to produce focus and eliminate programs or processes that are not contributing to the stated mission. Warren says, “A narrow mission is a clear mission.”16 Warren also says, “Make it measurable.”17 This is the idea of being “outcome based.” If the outcome is not being achieved, then the hindrances must be identified and removed. Here we must ask a question. Is that why, when Jesus meet the “felt needs” of the crowd in John 6, that He later confronted them with the need for a blood atonement which resulted in the crowd leaving and refusing to follow Jesus?22 Jesus told Pilate that He came to bear witness to the truth, an answer that seemed irrelevant to Pilate.23 What sinner ever saw a “need” for a crucified Jewish Messiah without first having been confronted with their sin and the need for atonement? Churches that exist to maximize the size and efficiency of the visible church are forced to change the gospel because the gospel is a narrow gate with few entering. In the efficient, market driven church people come in because the church is appealing to them; and they get motivated and committed because of the excitement and unity that exists around the church’s mission statement. People are asked to make commitments to the church and promise to support the church’s programs.24 People enjoy being a part of a committed community, unified, working together, and achieving measurable results. The ability to make that happen is the key to the success of the religious corporation. Rick Warren demands unity of every member and requires that they sign a covenant in which they promise unity.27 They are led through a series of classes that require entering covenants.28 These are designed to create deeper commitment. People who do not support the unity of the church are warned and disciplined. This is Warren’s interpretation of how he sees the Bible’s teaching on dealing with “divisive” people: “They are to . . . warn those who are argumentative, plead for harmony and unity, rebuke those who are disrespectful of leadership, and remove divisive people from church if they ignore two warnings.”29 This will help us understand how solid Christian people who are not accused of sin or heresy are being removed from churches. We will now compare how a Biblically defined church differs from a corporate mission defined church in how various aspects of the life of the church are handled. Elsewhere the Bible teaches to remove unrepentant sinners from fellowship (for example 1Corinthians 5). In a Biblically defined church, unrepentant sin breaks fellowship. In Matthew 18 Jesus taught about how important every believer is to Him, particularly those who were “little ones” who might be overlooked. They are so important that the ninety sheep would be left behind to find the straying one (Matthew 18:12). The key concern is the salvation of every one whom the Lord has brought to Himself: “Thus it is not the will of your Father who is in heaven that one of these little ones perish” (Matthew 18:14; note that “little ones” in context are believers – Matthew 18:6). In churches that adopt the new model of corporate efficiency through a mission statement and a system that produces “synergy of energy” to reach the desired outcome, this process is much different. The difference explains why solid Christians who are not being accused of unrepentant sin are being disfellowshipped. The “synergy of energy” is only possible when every member is pulling together to achieve the stated mission of the corporation. People are confronted and removed who insist on doing things in ways not consistent with the corporate mission statement. Inasmuch as the mission statement is not the gospel or the whole counsel of God, it is a truncated version of Christianity. Those who feel strongly that certain Biblical commands (like correcting false teachers or preaching about the wrath of God against sin) should be followed are monkey wrenches in the gears of the smoothly oiled corporate machine. They have to go. Failing to blindly follow misguided church leadership is not what Matthew 18 is all about. In the context, the disciples were arguing about who was the greatest, and Jesus took a little child to make an object lesson. The “little ones” were believers who had no great status in the minds of others. They are to be treated with the utmost love and concern, even though as one straggling “lamb” they seem insignificant. What we have instead, in the new paradigm churches, are faithful “little ones” being booted for not supporting the corporate dreams of those who deem themselves important. This is a total reversal of what Jesus taught. Unity is a Biblical concept. But again, there is a huge difference in the concept of unity in a Biblically defined church and the new Purpose Driven Church. In the Bible, the goal is the unity of the faith: “until we all attain to the unity of the faith, and of the knowledge of the Son of God, to a mature man, to the measure of the stature which belongs to the fulness of Christ” (Ephesians 4:13). The faith is the content of the gospel, including the entirety of the teaching as given by Christ and His Apostles: “Beloved, while I was making every effort to write you about our common salvation, I felt the necessity to write to you appealing that you contend earnestly for the faith which was once for all delivered to the saints” (Jude 1:3). One cannot decide anything about what unity is to be preserved without first deciding what “the faith” is. For example, at the time of the Reformation, Luther was considered a heretic, a schismatic whose efforts were directed against the unity of the church. From the perspective of Rome, he was. However, that assumes that the Roman church and her practices were truly in accord with the gospel and the teachings of Christ and His Apostles. Luther believed that they were not and that to find the unity of the faith, churches needed to be established based on the true means of grace. Both Luther and Calvin taught that true churches were those where the Word was purely taught and the sacraments were kept according to the Lord’s commandment. It is impossible to decide what constitutes a schismatic (one who causes divisions) without first deciding what constitutes a valid church! According to this, the divisions are caused by world-minded people whose lusts indicate that they are not truly regenerate. They are departing from the faith that was delivered by Christ and His Apostles. If anyone advocates a different doctrine, and does not agree with sound words, those of our Lord Jesus Christ, and with the doctrine conforming to godliness, he is conceited and understands nothing; but he has a morbid interest in controversial questions and disputes about words, out of which arise envy, strife, abusive language, evil suspicions, and constant friction between men of depraved mind and deprived of the truth, who suppose that godliness is a means of gain (1Timothy 6:3-5). Unity cannot be preserved when a clear Biblical understanding of sound doctrine is absent. The unity of the faith is not the same as the unity of a religious corporation. Luther brought us closer to the unity of the faith (because he brought the church closer to sound doctrine), even though he appeared at the time to be a schismatic. Religious corporations that exist to meet the needs of the maximum numbers of religious consumers move us away from the unity of the faith because preserving sound doctrine is not in their stated mission. Let us consider “unity” as defined by the efficient, seeker oriented religious corporation. As already discussed, this model of church demands unity based on its mission statement and leadership. People who do not fit the plan must go. 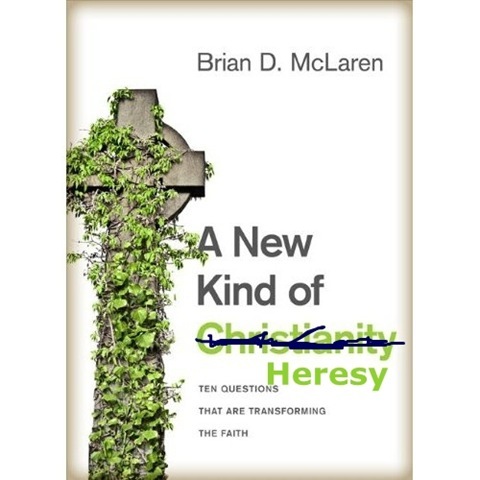 It is not necessary to prove someone a heretic or gross sinner to remove them from “fellowship.” In this system, they are removed for failing to promote the needs and goals of the religious corporation. In a secular corporation, that would be reasonable, but not in the church. A secular corporation can determine its marketing goals, mission, and protocol, and legitimately remove those who refuse to cooperate with the corporate mission statement. But is this valid with the Church? The Bible defines the church and the doctrines of Christ and His apostles determine its unity. Church leaders who decide to truncate the Biblical definition for the sake of expediency and corporate success have no right to remove godly Christians for the “sin” of not being in unity with their man-made mission statement. They have no Biblical authority to do this. Likewise Christians are pressured into entering man-made “covenants” that Rick Warren and others like him devise to insure that no dissenter can exist in their midst. This “covenant” becomes the test of unity and fellowship rather than “the faith once for delivered to the saints.” They achieve the unity of the religious corporation at the expense of the unity of the faith. This is wrong! Jesus told his apostles what was to be the message of the church: “teaching them to observe all that I commanded you” (Matthew 28:20a). He did not say, “teach them those parts of my message that they think are relevant to their felt needs”! In the Luke account of the Great Commission Jesus said this: “and that repentance for forgiveness of sins should be proclaimed in His name to all the nations, beginning from Jerusalem” (Luke 24:47). A Biblically defined church preaches the gospel, including the need for repentance and proclaims the whole counsel of God as Paul did. Everything Jesus taught, including that which was written by His authoritative apostles in the New Testament, is to be taught. People who attend Biblically defined churches should soon become fully Biblically literate and able to defend the faith cogently. They should be so well trained in the truth of Scriptures that they have discernment (Hebrews 5:14). In the new seeker paradigm churches the message is tailored to appeal to the largest possible audience. The goal is to build the visible church to be as large as it can get. Therefore, pastors lay aside those parts of the New Testament that are not deemed desirable or relevant by potential religious consumers. Evangelicals who adopt the Robert Schuler inspired version of creating a religious corporation do not deny any important doctrines. They just do not confess them publicly. They believe in a literal hell, they just do not preach it from the pulpit. They believe in the wrath of God against sin and the need for the blood atonement, but that is left out of the pulpit as well. Doctrine is privatized. It is relegated to a “statement of faith” on a website or made available elsewhere in case someone actually cares about such things. In the new paradigm churches the orthodox “statement of faith” contains truths that the pastors do not care enough about to preach to their own congregations or to sinners. However, should someone in a discernment ministry challenge them about their teaching, they trot out their boiler plate orthodoxy to deflect criticism. What they fail to realize is that the many mainline protestant denominations that left orthodoxy during the modernist takeover of the nineteenth and early twentieth centuries kept their orthodox statements of faith intact. They had no time for such foolish doctrines such as the virgin birth; but why needlessly start a fight by trying to change denominational confessions that were hundreds of years old? What is preached from the pulpit is a much better test of what is truly believed than a statement of faith. Peter said this: “obtaining as the outcome of your faith the salvation of your souls” (1Peter 1:9). The “outcome based” corporate management churches judge their success vis-à-vis their mission statement based on measurable outcome. The only outcome they can measure very accurately is the number of people joining the visible church. The invisible church cannot be measured because it cannot be seen. The Biblically defined church seeks to nurture and grow the invisible church through the means of grace. Though we cannot know for sure who the elect are, we know for sure what means God uses to call people to Himself and sanctify them. If we faithfully provide those means, God will use them to nurture His flock which was purchased by the blood of Christ. The size of the visible church is not an important issue, but the existence and well being of the invisible one surely is. The redefined church of the church growth movement has mostly ignored the matter of the invisible church. Like Rome and her benefactor Charlemagne, they use the best means available at the time to make the visible church as big as possible, even if the light of the truth is so dim that it is with difficulty anyone would be saved or sanctified. If happy religious consumers living better lives than they had outside of the church is the test of validity, then these huge and rapidly growing churches must be right. However, I do not believe there is anything in the New Testament that validates seeking to maximize the visible church by means that tend to strangle the invisible one. Consider the inspired words of Paul: “Pay close attention to yourself and to your teaching; persevere in these things; for as you do this you will insure salvation both for yourself and for those who hear you” (1Timothy 4:16). That is how you insure that there is a growing invisible church enrolled in heaven. Consider what Jesus told Peter: “Feed My sheep” (see John 21:15-17). Shall we obey God or shall we drink of the elixir of corporate success? Louis Berkof, Systematic Theology, (Grand Rapids: Eerdmans, 1938, 1996 edition) 565. Martin Luther as cited by C. F. W. Walther, Church and Ministry, (Saint Louis: Concordia, 1987 edition) 94. “Germany.” Encyclopædia Britannica. 2004. Encyclopædia Britannica Premium Service. 3 Dec. 2004 http://www.britannica.com/eb/article?tocId=58088. Justo L. Gonzalez, The Story of Christianity Vol. 1, (San Francisco: HarperCollins, 1984) 267. Rick Warren, The Purpose Driven Church, (Grand Rapids: Zondervan, 1995). Rick Warren’s website, Pastors.com, explains how “synergy of energy” is important in his type of church: http://web.archive.org/web/20020907224915/http://www.pastors.com/articles/SevenTransformation.asp Peter Drucker, the business guru is mentioned favorably. Warren, Purpose Driven Church, 107. Warren, Purpose Driven Church, 130, 131. For example, Charlemagne’s Capitulary for Saxony enforced tithing through civil law; op. cit. ; http://www.fordham.edu/; Rick Warren requires people to sign a “growth covenant” which requires tithing for those who are committing to his church; Warren, Purpose Driven Church, 54. The former coerced tithing, the later entices people to commit to it so as to participate in the “covenant” of the visible church. Warren, The Purpose Driven Life, (Grand Rapids: Zondervan, 2002) 167. Warren, Purpose Driven Church, 130. Warren, Purpose Driven Life, 166. This article (Issue 85 – November/December 2004) appears in its original form here. DESIRING GOD SELLING BIBLE STUDY METHOD OF RICK WARREN! ?